The fact they’ve sent you a Word file with all the spelling and grammar markings left in rather than, say, rendering it to a PDF might be a clue as to their incompetence. Yet another business that will learn the hard way thatt the Streisand Effect works at hyperspeed in a world of hyperlinks, Google and blogs. D’oh! Well, they are certainly showing a complete lack of understanding regarding not only the internet but public forums in general. The next time that I’m at my favorite restaurant, I may say to Sarah, “I can’t recommend the stuffed chicken, it’s not their best dish.” I suppose that if this firm represents said restaurant too, I may be threatened with legal action and/or forced to make a public statement retracting my comments. Is there any chance you could post “the provisions of Directive 2000/31/EC”? I’d love to see how far they’re stretching that. Hey James, this seems to be the relevant legislation on the Irish statute books – good luck figuring it out! That’s true and I am absolutely agree that in modern economy the main thing is a consumer, because just a person has a wallet with money and he decides, where to spend these paper or electronic money! An important facet of this boilerplate letter is the spine of your blog’s host. Some hosts roll over with legalese threats. Fortunately, I am in the somewhat unique situation that I host my blog on my own server in my own data center! As such, I can be reasonably confident that my host is unlikely to bow to this empty legal huffing and puffing! The extent to which Messers Cease & Desist will be successful might depend on the physical location of the server that hosts your posts. Given your physical location, the location of the blog, the location of the poster, and the location of the service being complained about, figuring out where such a case would be adjudicated could be complex. I booked through this company in October 2010 and was given a car which was in a dangerously defective state by Yor Car Hire in Portugal. Yor refused to replace the car and I had to hire a replacement myself and pay a second hire fee to another hire company Sixt Car Rental who treated us very well. Despite the fact that I had video evidence both Argus and Yor refused to refund their fees however a few days after I posted my experience on Tripadvisor they contacted me to re open the case. I think it’s disgusting that they won’t refund in cases where you clearly didn’t receive a product which was fit for purpose yet they monitor the web for negative reviews and only Try to satisfy people who are smart enough to make noise. If you are wronged by thus co you need to shout it from the rooftops to get any satisfaction. These guys make it more difficult for all web retailers to do business. I laugh every time I see Greg Turley in the media acting all businesslike. Car Hire is a very important part of your holiday. If it goes wrong you will be seriously inconvenienced, your holiday may be ruined, your life and the lives of your family may be put at risk (like happened in our case). Mr Turley won’t care and his staff will quote the small print in their contract back to you to explain why it’s ok for you to be treated this way. 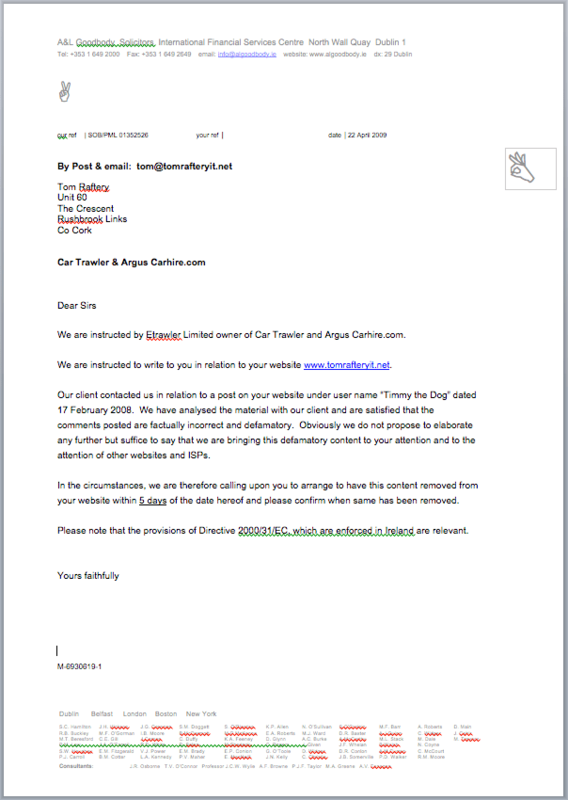 I would advise anyone renting a car to go direct to a “Car Hire” company, which Argus are not. You may pay a small amount more but it will be worth it for peace of mind. Finally, if you decide to ignore this advice and you book with one of the Etrawler companies/trading names (Argus/Car Trawler) do not accept a car from a company which dies not have a desk in the airport. If the arrangement is that their rep will meet you in arrivals and direct you to the car, ask for a refund immediately. There is a reason why these companies don’t have a desk in the airport. Hi All – they have not yet improved. I was sent an email by Norwegian Airlines recently after booking my flight asking if I needed a hire car. I did and so I clicked the ‘yes’ button. MASSIVE mistake. I entered my hire times (19.30 and 17.30 for the return). I chose the car based upon the fact it was an airport pick-up and not a near-the -airport pick-up. On the day of travel I received a phonecall from Cartrawler at 3pm asking why I had not collected the vehicle. I explained it was not due to arrive until around 8pm. They knew this, they had my flight number. Somehow their system had recorded times of 10am ad 10.10am respectively. They then told me that the car hire office would be closed at 8pm so I could not have my car. They said the would ask the company to wait for me – but they never rang back. I called the relevant hire car company myself, which it turned out were not located at the airport at all, who refused to stay open an extra hour to allow me to collect. I called Norwegian – they close at 3pm for everything other than to take money from you – of course. So I called Cartrawler again, their solution was to hire another car – at full price! Awesome. So I never saw the vehicle. Stranded at Gatwick (too late for trains to my destination, too poor to afford another car or hotel). I spoke to Cartrawler the next day the person agreed this was a shocking experience and that she had heard of this before! She told me to make a case. Interestingly the ‘make a support case’ button is buried deep within the site – I had to cal back to be guided to it. Also interestingly once you have filled everything out and click the save button it just begins the whole process again without saving – priceless! So I called yet again, emailed them the text and the assistant logged the case. Then few days later I receive a mail saying it was all my fault – their website could not have made such an error – i.e. the same site that sends people with support cases around an endless loop without registering the case. Sure – that site could never go wrong could it? I work for a hosting company and I manage several sites – we would never be able to say our sites are infallible, all code is prone to bugs – everyone knows that. I also pointed out that I missed the wrong times on my documents because they were sent in a foreign language (Norwegian) – apparently this was also my fault for not clicking an English documents option – yet I was on a UK version of the site, because I don’t speak Norwegian!! So what do we have there? Firstly, the initial sentence is not a sentence, I guess punctuation is beyond their remit too. Secondly how does a time mean they are unable to check something? They do not explain – it seems like an attempt to blind someone with good old fashioned BS to me. Their conclusion is that I am incompetent and can whistle for my refund – but don’t worry they are SO sorry and really understand my frustration, but are keeping my money because I can’t physically extract it – possession is 9/10 of the law.